Flip a coin. 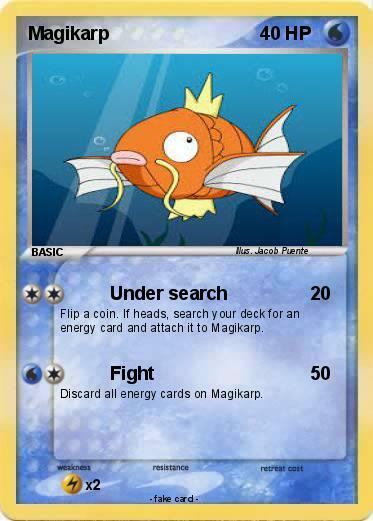 If heads, search your deck for an energy card and attach it to Magikarp. Discard all energy cards on Magikarp.